It has been a truly breathless couple of weeks. I always forget how busy it is around Christmas. Yesterday I got off work about 7 pm and dashed to Great World City to catch up on Christmas shopping. The Esprit salesman was really amused to see me wielding my Christmas gift list. Luckily I drove because I had to dump massive bags in the boot twice and the I Wanna Go Home shopgirl glared at me as I dashed into the store with the metal screens half down just before 9 pm. But she was nice in the end because I grabbed a couple of items and didn’t ask her stupid questions and I think she could still close the shop on time 😄. So this is a comfort food soup recipe that came from bits and pieces in the fridge. I had chatted on the weekend with some ladies who said that they were intimidated by difficult recipes and this reminded me to keep my recipes really simple and accessible. 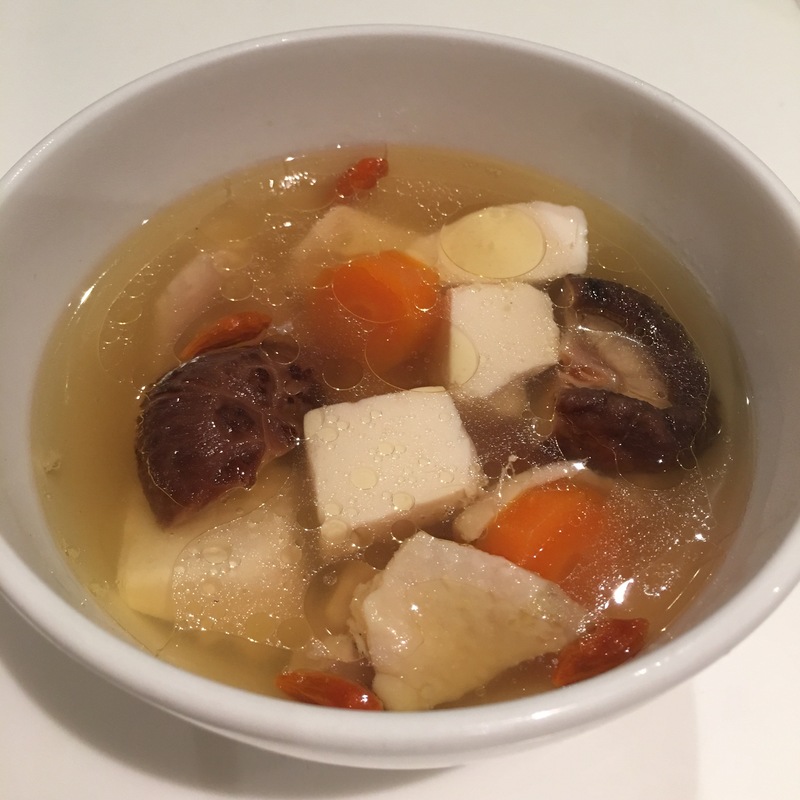 So here is the chicken soup recipe – the Jews call their chicken soup “Jewish Penicillin” – I think this soup is the Chinese version of a nourishing and health boosting meal. Soak the dried mushrooms for about 5-10 minutes in 1 cup of hot boiling water. Remove from the water and trim off the stems. Cut the mushrooms in half. Put 1-1.5 L water into the soup pot and bring to a boil over high heat. Add the chicken and carrot, mushrooms, wolfberries and salt and pepper and simmer for about 1/2 hour. Add the tofu and ginkgo nuts and simmer for another 10 minutes.